The Norfolk Coast offers endless possibilities for an enjoyable holiday. Whether you are looking for peaceful days exploring the coast, or fun-packed family activities at superb attractions, you'll find it here. And there are many different types of places to stay, from a holiday park near the sea with on-site entertainment, to a top-quality hotel. The larger resorts such as Great Yarmouth, Hunstanton and Cromer offer a range of entertainment, while smaller towns such as Wells and Sheringham, and the Norfolk villages are a stepping stone to the beautiful Norfolk countryside! 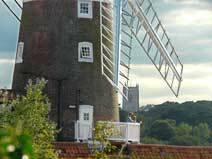 Explore this website and get the very best out of your stay in Norfolk!